To our kin in those countries which have shown their loyalty in two World Wars and in other conflicts since, an Act of Parliament of the year 1701 has still today much significance. Apart from the religious aspect and the emergence of Cabinet Council much hated at the time and which was only finally approved by the Regency Act of 1705. “What!” it maybe asked, “has the Act of Settlement got to do with people outside the United Kingdom?” Indeed Australia is not mentioned because seventy -five years would pass before Captain Cook claimed New South Wales for the Empire. The provisions of this Act referring to the Queen shall extend to her Majesty’s heirs and successors in the sovereignty of the United Kingdom.” This means that whatever changes may be made to the British Crown will affect our own Crown (of Australia) and indeed that of the other Realms. 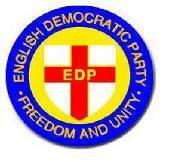 Because of the recent Government intention to accept a new European Constitution without full consultation with the British People the EDP considers this the ideal time to bring to the notice of the British People that we are not alone in requesting a Referendum on the vital issue of the Self Determination of the British Peoples at home and abroad. To continue: Prior to the Constitutional Referendum (Australia) of November 1999, a survey found that less than 15% of the population were aware that Australia had a Constitution let alone knew anything about it. How low, I wonder, would be the percentage of the population and even in Britain itself who would have any knowledge of the Act of Settlement of 1701 and yet it is perhaps the most vilified piece of legislation on the Statute books of the United Kingdom. However, nestled in the safe security of our new developed Westminster System, why should people need to know about Constitutional matters and about the Bill of Rights and the Act of Settlement? Was it not Thomas Gray who wrote some 252 years ago? 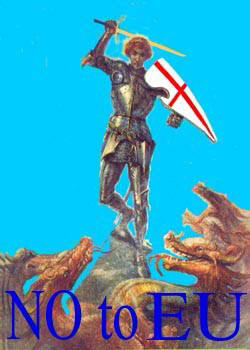 The idea of a United Europe is not new. After all, was this not the design of Charlemagne and centuries earlier of Rome itself? Modern European Union had its roots in the early years of the nineteenth century when the numerous principalities within Prussia grouped into one protectionist economic unit. Bismarck later consolidated the thirty- nine states allied in the German Confederation into what became known as the German Empire. The defeat of Germany in 1918 inspired rather than put aside plans for European Union and achieved initial success on an experimental basis with Hitler’s conquests. The Nazi inspired hopes of a United States of Europe collapsed with Germany’s defeat in the Second World War. However, some were able to persuade Washington that a future war would not be able to be averted unless there was a united Europe. The CIA and others poured money into the pro European Movement, which still included Nazi collaborators. Was vehemently against BRITAIN entering into an alliance with Europe for he quite correctly thought that this would lead to an abandonment of its trading and cultural links with Australia and the other Commonwealth countries, but the pressure was too forceful and the later groundwork laid by McMillan and Heath and the USA too strong and today Britain is submerged, possibly irreconcilably, into Europe. It is true that, as a nation now totally politically independent from Britain, Australia could really do no more than to say that entry into Europe was a matter for the United Kingdom, just as this same sort of official language was used by Britain when commenting on our own Constitutional Referendum in 1999. Britain was the founder signatory to the European Convention on Human Rights, however it was only two months ago that the British Parliament incorporated the European Convention on Human Rights into British Law thereby giving it legal precedence as a sort of new Bill in the United Kingdom. The overriding power of the European Human Rights was felt even before it became a part of UK law when the Court, meeting in Strasbourg in December 199, upset the verdict of a British Court in the trial of the boy murderers of two year old Jamie Bulger with their ruling that the two 11year olds tried as adults did not receive a fair trial. -had an editorial which in its usual form attacked the British Monarchy and condemned the Act of Settlement of 1701. Within a few days (at the time) the Guardian newspaper had retained Robertson and committed itself to funding an action before the European Human Rights Court on the basis that the Act of Settlement “clashed with the Human Rights Act and should be reinterpreted or removed from the Statute Book.” Reports indicate that Notice of such action is to be served on the High Commissioners in London of the Commonwealth Realms. For well over a year (Philip Benwell) I have been raising concerns over the Constitutional implications that Britain’s now political entry into Europe has to the Realms and instead of blindly signing whatever Brussels demanded of it, Britain had a duty to not only confer with the Governments of the Realms but in the terms of our Constitution and that of Canada the matter should have been put to the People for their agreement (We in the UK should have taken the warning at the time) -as should, may I say, the Australia Acts of 1986. However whilst times have changed and indeed changed radically, many of the circumstances which led to the need for the Act have-not. In a Constitutional Monarchy, the Monarch must Assent to any law passed by parliament provided that such a law is Constitutional. To refuse would cause a Constitutional Crisis. And ideology. However when, in 1990, the Parliament of Belgium passed the controversial Abortion Bill, tremendous pressure was put on the former King Baudouin, a practicing Roman Catholic not to sign it. The King courageously refused to sign and the only solution left for him was to abdicate, which he did for a day. King Baudouin died in 1993. Our Coronation Oath commits our Sovereign to a lifetime of service, which means that the Queen cannot abdicate, even for a day. Therefore should a similar dilemma occur in Britain it could not be resolved so easily and would precipitate a severe Constitutional Crisis, which is why? The Sovereign of Britain was made Supreme Governor of the Church of England and thereby totally immune from any influence or direction from Foreign Powers (Please refer to our other Bulletins on this subject). Recent attacks against the Act of settlement are that it discriminates also against new British subjects and under the Act no Muslims or Hindus can ever succeed to the Throne! To what will be its everlasting shame, THE Guardian itself admits that it has been advertising in Germany for a claimant to the British Throne but without success. Obviously the head of what is left of the Stuart line, Franz, Duke of Bavaria, has no interest in this treacherous nonsense. Indeed in its three hundred years of existence, no legitimate claimant to the Throne of the United Kingdom has ever formally challenged the Act and unfortunately this publicity gimmick of the Guardian will only serve to cause confusion in the minds of the People. It was Napoleon who said “ Four hostile newspapers are more to be feared than a thousand bayonets”, and unfortunately in our society where, I may say, the constitutional freedom we enjoy is due to such laws as the Bill of Rights and the Act of Settlement, an irresponsible media (As evidenced today with those few who refuse to see the truth when they see it) and embittered poseurs will always with us. They are indeed the downside of our Constitutional Democracy (Which is the safety valve of our Freedom even when shown to be an evil in our midst- We hope they will pause to remember that?) - and we can only hope that through their constant abuse of the privilege of a Free Press, they themselves will become entangled in their own duplicity before they succeed in tearing down the fabric of their own democracy. When first we practice to deceive`. 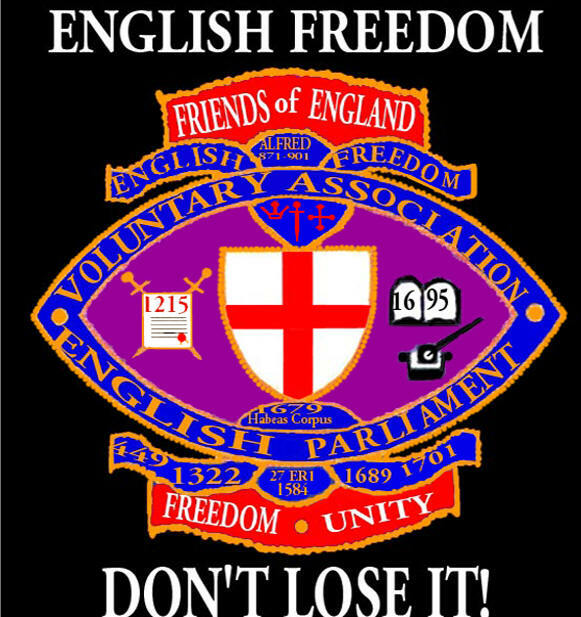 Today (2000) it is a saddening sight to see how far and how fast the European Union is encroaching on the Sovereignty of the British Parliament, on English Common Law and indeed on the everyday life of the ordinary person. There was a time when the National Interest was the Prime Consideration of any Member of Parliament (See EDP Bulletin -The Tyranny of Cabinet Government) However to their everlasting shame, successive BRITISH governments have bartered away a thousand years of RIGHTS AND LAWS of the English People in exchange for a repressive officialdom and a fragile seat at the increasing Despotic Table of (so called) United Europe. Hailed as the resurrection of the Holy Roman Empire, the European Union is drawing to itself executive authority over its Member States and is even now planning a centralized army and a centralized police force. Whilst we now have our own unique Crown of Australia, it in itself, is meaningless without the Crown of the United Kingdom for it is through the Crown of the United Kingdom that the magnificent History of England, fine tuned over centuries of strife, warfare, death and deliberation comes down to us to perfect the checks and the balances gifted to us in the Westminster System and the improved upon by our Founding Fathers with the incorporation of the Referendum Process. The major Commonwealth Realms of Australia, Canada and New Zealand are Democracies now politically independent of the British Government, our Constitutions evolved from Acts of the British Parliament and are inextricably linked to the Constitution of the United Kingdom through the Crown. Regardless of whatever discussions may have been held between our Governments over the years, the signing of any agreement or treaty by Britain which may have the potential to infringe upon our own Constitutional Arrangements should have received the Agreement of the Peoples of Australia and Canada through our individual Referendum Processes. Just as the Guardian is seeking to use European legislation to challenge the British Constitution, it is time perhaps for lawyers well versed in such matters to investigate the possibility of challenging the very acceptance of any European legislation entered into by the British Government (This has been done) which may have even the slightest potential of affecting Constitutional Arrangements within the Realms. For what, we in the Realms may ask (We in the United kingdom ask the same question - we are still awaiting an answer from Tony Blair) did we sacrifice the lives of our young to defend Britain against the `Powers of Darkness’ in Europe? Sacrifices were made, not only once but also on two occasions, only to find our Peoples cast aside as Britain humbled itself before our once traditional enemies. The Guardian has held a Poll in a attempt to seek vindication of its attack on the Act of Settlement - but only a few readers -2021 have responded. Such is their mandate. (The EDP received over 3000 votes at the European Election even though it was nobbled to prevent it using its Party Name as was used in the 1997 Election -before the 1998 Election Legislation was introduced-further details on our web-site) . However the Guardian’s challenge, whilst obviously of no real interest to the General Public, has served to highlight the Duplicity of the British Government and its Infidelity to the Realms as to betray us all to European Control. Events since the savagery of September the 11th have reinforced the general opinion of the British People that this British Government, with their Spinning friends, and a large number of Members of Parliament have no longer the interests of the People in mind but their own personal interests within the gravy train of European Despotism. It is said that the People get the Government they deserve - this is true in as much that the People considered that though they had little time for Politicians they did not expect the gross deceit and lies in matters of life and death which has been revealed over the past year. The People have the answer in their own hands at the next By-Election and the next General Election.